Engage your customers with your branded social community. Collect feedback, provide support, and increase satisfaction and loyalty. Plans start at just $49 per month. 30-day free trial. Spark dialogs and interaction. Be expressive with rich text, images and video. Give a voice for your customers. Collect feedback, discover what is popular, prioritize and take action. Reduce costs with community-powered support. Customers ask questions and share answers. Easily publish content such as help articles, video tutorials, FAQs, or announcements. 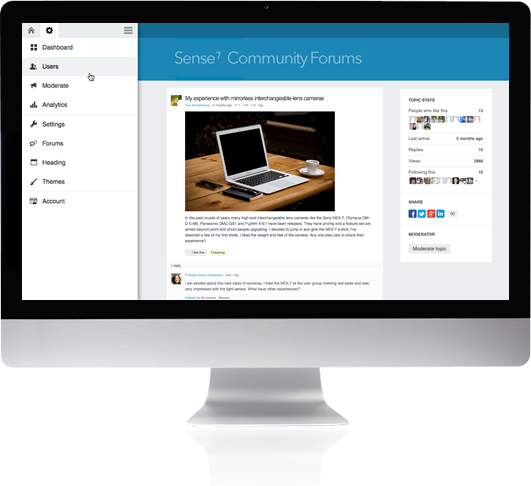 Set up your community forums in minutes. Customize and make changes any time with a simple interface, no technical experience required. We are hosted in the cloud, so there is no software to install or maintain. Brand your community forums your way. Your community is an extension of your brand, independent of any social network and ad-free. Add your logo and customize your messaging. Select from a library of beautiful built-in design themes or customize to match your website. Members can fully participate on any device from desktop to tablet to smartphone. Full community forums capability is supported on mobile devices without the need to download a separate app. Find out what your customers are thinking, ideas they have, and where they need help. Gain insights from conversations. 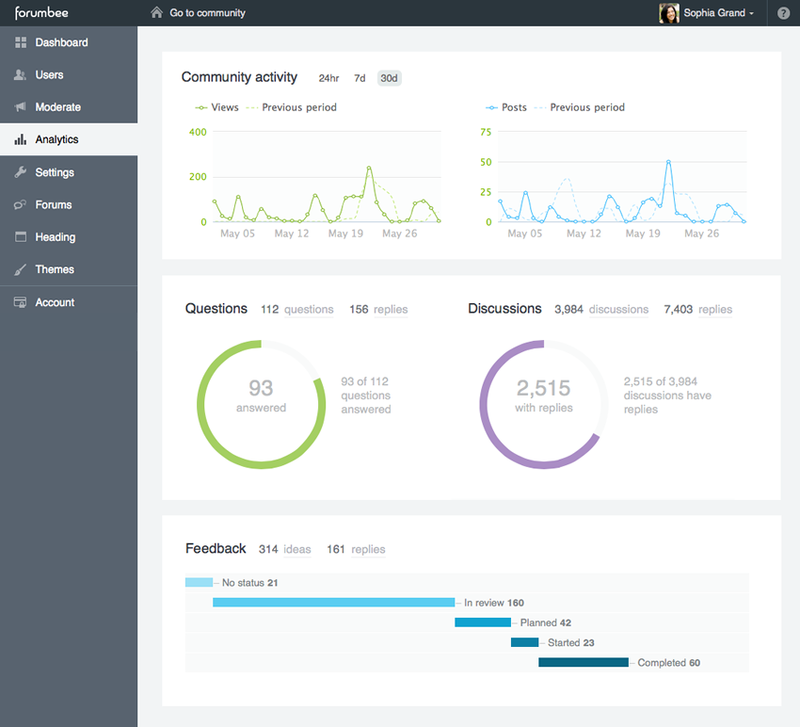 Monitor activity with a visual dashboard. Text analytics reveal popular topics and themes, powered by our natural language processing engine. You are in complete control over the content in your community. 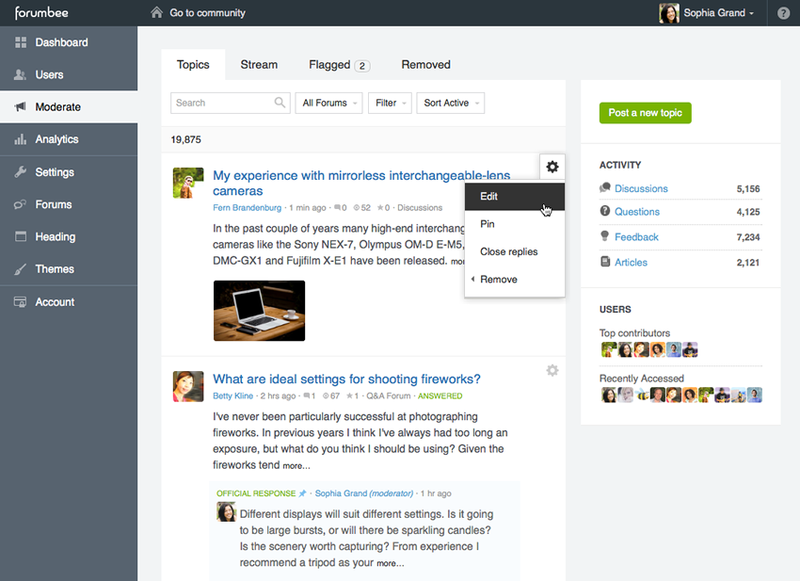 Tap into powerful community management and moderation tools on both your desktop and mobile device. Delegate to your team of customer service agents or moderators. Your forums are ready in seconds. Our intuitive interface will guide you through set up. Works with all the latest devices. Full access to all community and admin features on the go. No software to install or maintain. You'll be up and running in minutes. Use your own logo and domain name. 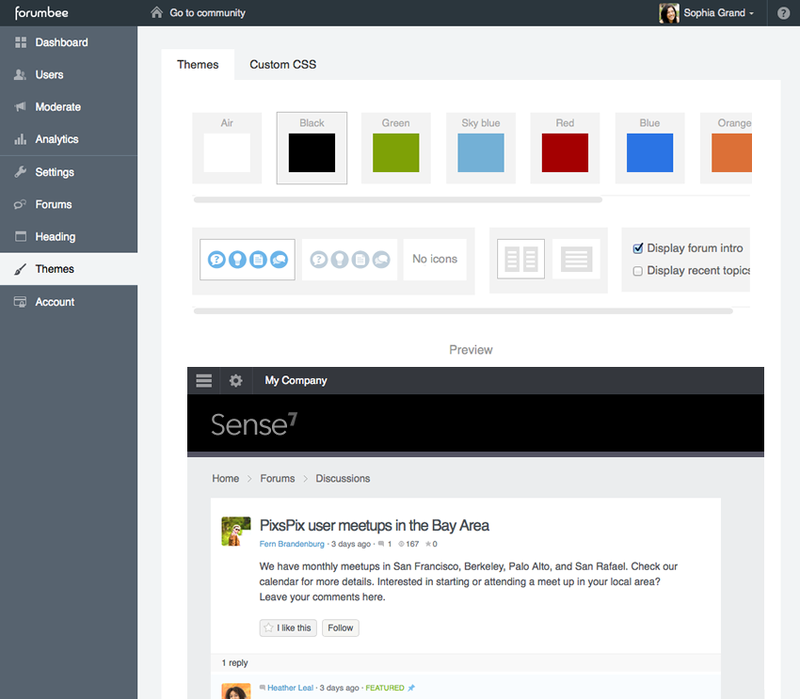 Select from a library of built-in themes and customize to match your website. 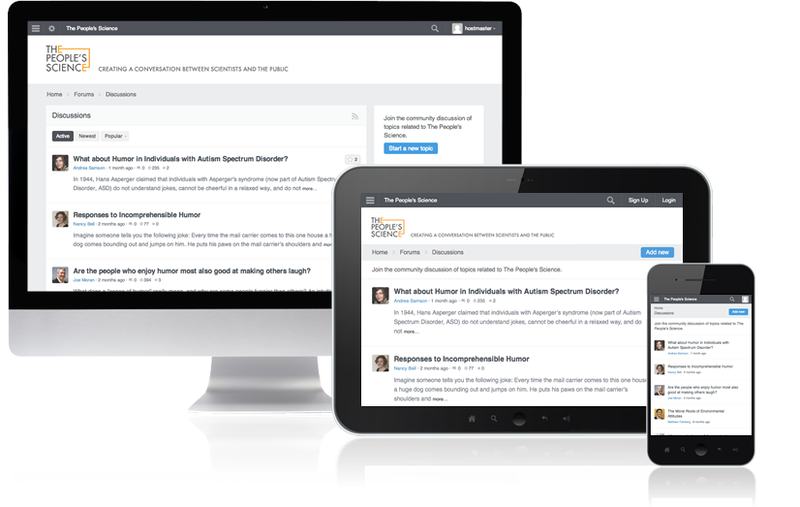 Boost member participation with topic voting, community Q&A, idea forums, user activity profiles and social media sharing. Track the pulse of your community with a map of recent visitors, activity trend charts, and text analysis. You have full control over your community content. Edit and remove member postings. Give moderator access to your team. Make your entire community private or restrict access to only certain forums. Secure your forums with SSL encryption. We are eager to help! We'll guide you through setup, answer questions, and assist with your customization needs. We support your business not just your community forums. We will work with you to ensure your success.